Today officially kicked off my 32nd week of my pregnancy. Some days it feels as though I've been pregnant for an eternity, and others it feels like it has gone by so quickly. Especially the last two weeks. I started to get worried around the 30 week mark because I felt so unorganised. However, in these past two weeks Luke & I have sorted out the bigger baby items, my favourite being a wooden rocking chair. As well as a new car. And we also organised a new place to live! Moving is generally a stressful event, and we have left it up until the last possible minute before it would be just down right ridiculous to do so. 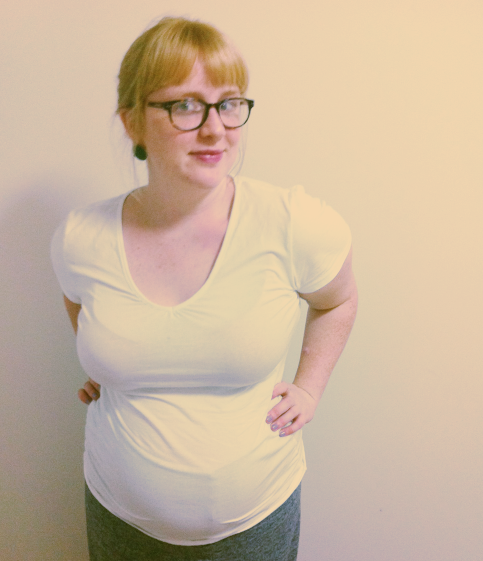 I feel incredibly lucky that I have had a fantastic pregnancy so far. I've had custom illustrations, invitation designs & a six day working week to keep me busy for the most part. So the small discomforts of heart burn, the occasional late night leg cramps, swollen feet at the end of the day and general vagueness commonly referred to as 'baby brain' aren't so bad, and when I do complain I try to remind myself of how horrible it actually can be for some ladies. And if finding it difficult to roll over in bed, or get up off the lounge is the biggest struggle of my day, then things aren't so bad! It definitely does get uncomfortable, but, yes, thankfully all the annoyances are routine/normal!